Scientists working on the LIFE IBERLINCE project have spent six years studying the hunting behaviour of the Iberian lynx (Lynx pardinus), registering a total of 40 attacks with 716 farm animals killed. Their results indicate that, although the resulting economic losses are not high, this behaviour is on the rise, and it is therefore necessary to establish conflict prevention programmes alongside the existing conservation programmes. Most studies on depredation of livestock in Spain have focused on wolves and little attention has been given to this type of conflict in smaller species. 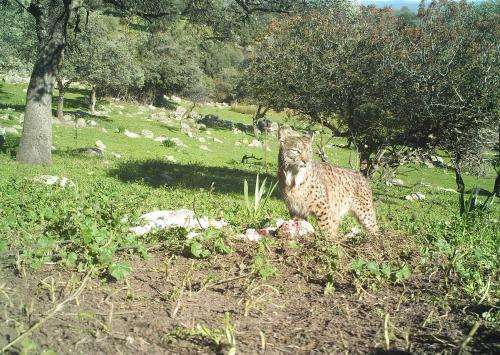 Within the LIFE IBERLINCE project, "Conservation and reintroduction of the Iberian lynx (Lynx pardinus) in Andalusia", a team of scientists has spent six years monitoring lynxes' hunting habits in areas with nearby settlement. 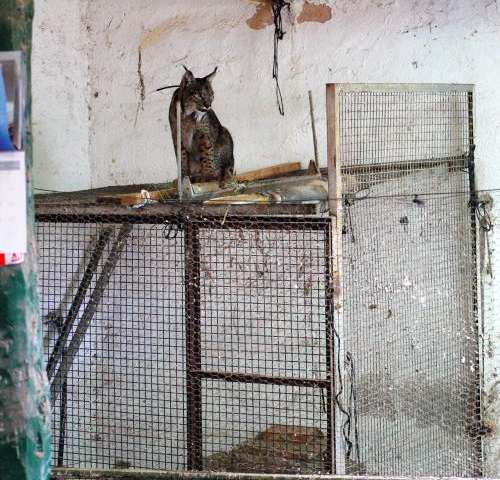 In the eight years since this initiative began, the number of lynxes in Spain has trebled. "We have counted a total of 40 attacks on farm animals, involving 716 kills, in the area of Andújar-Cardeña, one of the hubs – along with Doñana – in which members of this species in danger of extinction are centred," explains German Garrote, co-author of the study and researcher on this project. Although the majority of these attacks (78%) were carried out against poultry, sheep depredation resulted in higher economic losses". "Quite possibly, when the lynx was present all over the peninsula, these attacks were common, but as they now have a very limited distribution and, until not so many years ago, they rarely came into contact with domestic animals, we did not see as much conflict. Now that the species is expanding again, it is reaching more inhabited areas," the expert highlights. Parallel to its conservation programme, the group created a compensation scheme to mitigate the consequences of the conflict between humans and lynxes in this area. "It is about payments for damages to livestock in areas where the attacks have occurred," notes Garrote. Economically, these damages are not very significant in comparison with the money invested in their conservation. However, the team has already begun to erect electric fences to avoid attacks to sheep, with an ideal result. "What we aimed with this study was to find out what the conflict is, demonstrate that these conflicts occur and work out how to solve them, in order to anticipate problems that might arise in the future with this species, which is colonising more developed areas, as happens with the wolf, whose conflict is much more generalised," the researcher concludes. The article is titled "Human–felid conflict as a further handicap to the conservation of the critically endangered Iberian lynx."